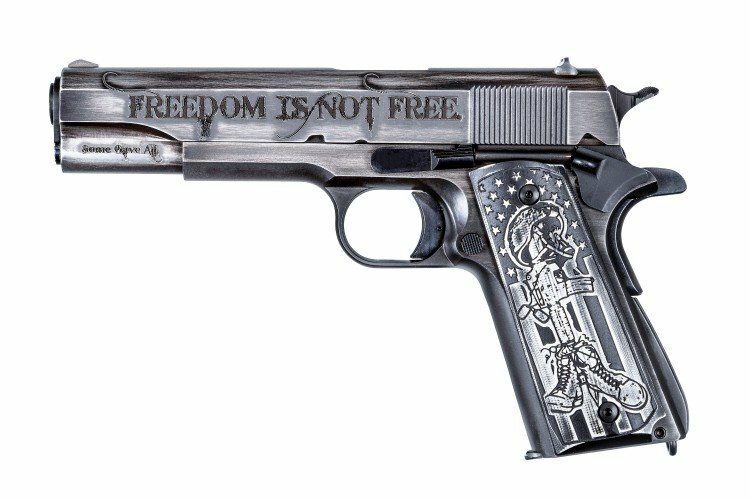 "I Stand" 1911 - Auto-Ordnance | Original manufacturer of the world famous "Tommy Gun"
In a time period where some in America may have forgotten the true meaning of sacrifice, Kahr Firearms Group is paying tribute to those who truly gave all for America. 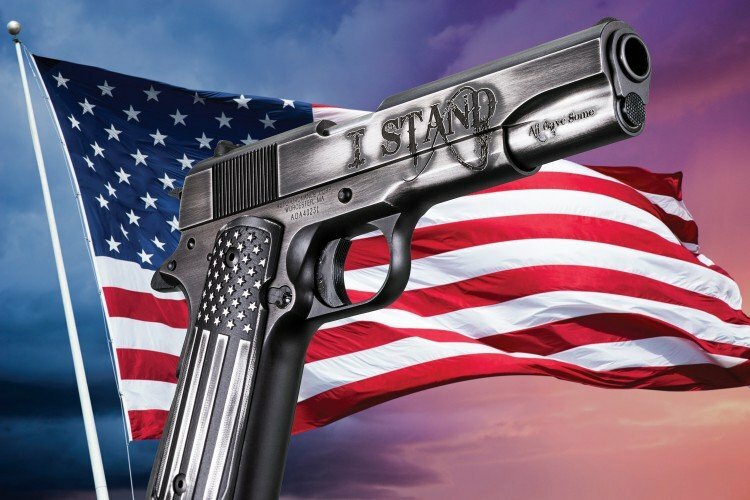 The “I Stand” 1911 honors all those who sacrificed their lives in the service of our country. For this reason, the phrase “All Gave Some, Some Gave All” is engraved on the dust cover. At Kahr Firearms Group, we stand for the National Anthem, and behind the men and women who keep us free. Thus the words “I Stand” are engraved on the right side of the slide. 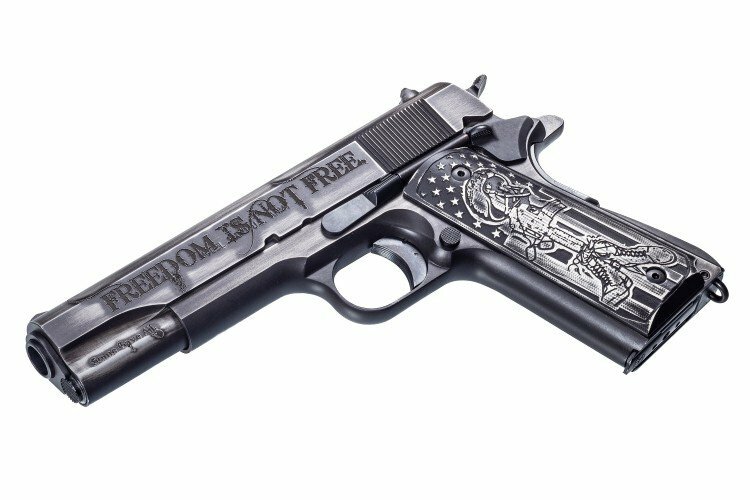 “Freedom Is Not Free” is engraved on the left side of the slide, a powerful reminder of the many who have paid the ultimate price for our freedom. The American Flag is on the right grip, and the left grip depicts a battlefield memorial for a fallen warrior. The finish is a worn Cerakote in black and gray. 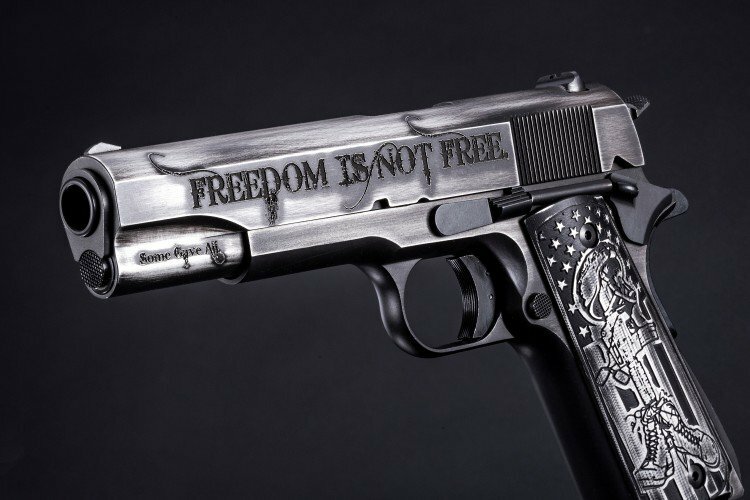 Underneath is the same made in the USA, Auto-Ordnance GI 1911 that you know and trust. Each pistol is a 5”, GI pattern 1911, chambered in .45 ACP. The slide, sear, and disconnector are machined from solid bar stock, properly heat treated for many thousands of rounds of reliable shooting. The sights, safety, trigger, and beavertail are GI pattern. Unlike GI guns, all Auto-Ordnance 1911s are precisely machined to modern standards. This guarantees that the GI 1911 may look like the original, but will shoot with a degree of accuracy far superior to the military guns. 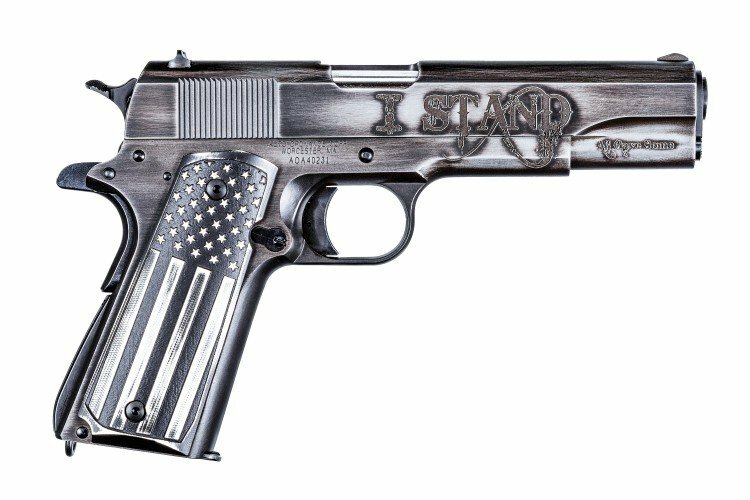 Owning the “I Stand 1911” gives the modern shooter a chance to own a piece of history, while making a powerful statement in support of the brave Americans who paid the ultimate price preserving our freedom. The “I Stand” 1911 (1911BKOC1) comes with a 7-round magazine. Contact your local firearms dealer to purchase. 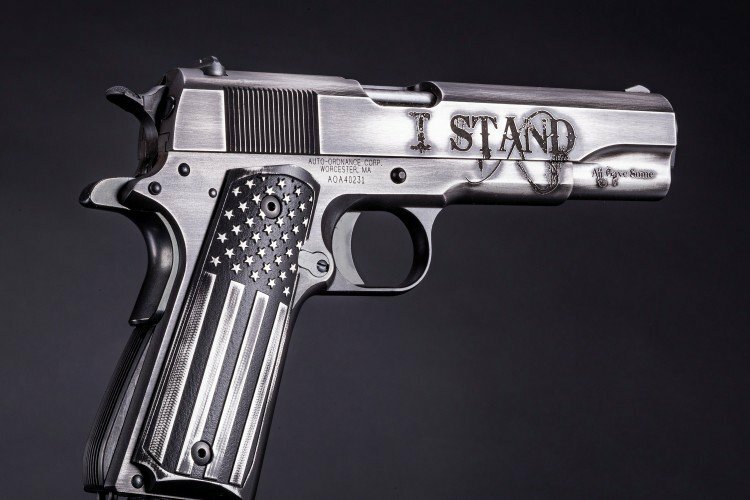 Bangers USA is the exclusive distributor for the "I Stand" 1911. Dealers can contact them directly at 800-226-4377 to order, or visit www.bangersusa.com to learn more. © 2018 Auto-Ordnance | All rights reserved.